The feelings are familiar. Mouth open. Eyes wide in amazement. Heart pounding in the throat. Momentary disbelief. Then it happens. The flash of a surprise planned by my boyfriend boggles my mind, leaving me somewhere between stunned and dumb with wonder. On the morning of my birthday on July 24th, Mom posted the above Facebook status. But the importance of 23 is counter-cultural. It’s not a sweet 16th, a debutante’s 18th, or a mature 25th, but there’s certainly personal significance for me. Year 23 is a significant point in the passing of time, a specific yet mute reminder that more sand has passed through the hourglass. 10 years ago, at the age of 13, I finally became a big sister to the joy of my life - Joshua. 10 years ago, when I turned 13, my parents sent me on a journey to meet with 13 different couples. I embraced the wisdom from those 13 virtues they shared with me, and to this very day, I have carried the treasury of having God’s morals in my heart. 25 years ago, my parents had me, two years after being in matrimony. I see birthdays not as deadlines but lifelines. God builds them into our calendar once every year to enable us to make an annual appraisal, not only of our length of life but our depth. It’s not a mere simple reminder that we’re one year older, but so that we can determine if we are also growing deeper. Wisdom comes from anticipating the fruit of a disciplined life. Not from trying to do great things for God and to please those around you, but more from being faithful to the small, obscure tasks few people ever see. And then when Delwyn threw me a Dîner en Blanc birthday soirée turned surprise engagement party, I was forced to stop and reflect even further. Time comes and goes with the blink of an eye. We really don't have a lot longer, you know. But after an evening of tears and unity, my heart came to the acceptance that this year is another one of those rare lifelines. 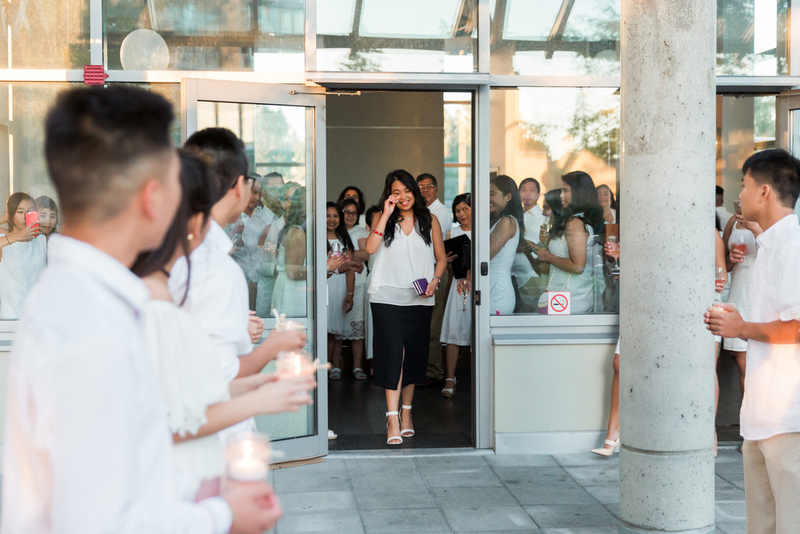 With everyone dressed in white, Delwyn had about a hundred of our closest friends from church and loved ones celebrate this momentous occasion with us. 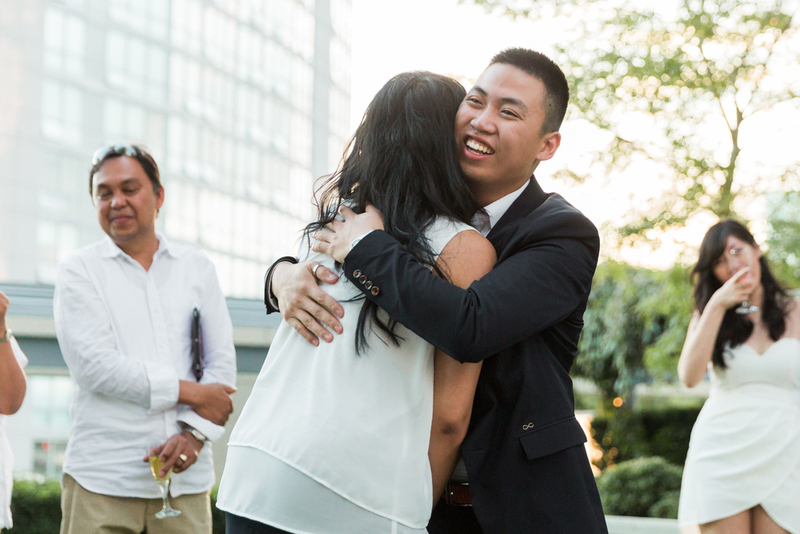 At exactly 8:45 pm at sunset (the exact time I was born), he proposed, with our immediate families surrounding us. In another post, I’ll share how Delwyn’s chivalry and love for my family and I led from us being high school sweethearts to soon becoming husband and wife. Let’s just say genuine love isn’t pushy or demanding, and while it has its limits, its boundaries are far-reaching. It takes a knight to have respect and honour all these years.